Home / أخـــبــارالعالــم / Who is responsible for the 9/11 attacks ? killed during the 9/11 attacks in Washington and New York followed the policy of the Ostrich, hiding when facing trouble. When they found out about their relatives’ deaths, they maintained silence for fear of being accused of terrorism, especially during the first three months after the biggest terrorist attack Americans have ever witnessed in their history. With their silence, it was hard to determine the correct number of Muslims who died in the attacks. Some people alleged an exaggerated number that reached hundreds of deaths, most notably the Jordanian imam and professor Omar Shahine, who has been residing in the United States for 16 years. However, Sheikh Omar did not overstate the number of Muslim victims intentionally, it’s just that things seemed to be unclear when he issued, 17 days after the attacks, that 1,200 Arab and Muslim were among the victims, which is more than 41 percent of all deaths resulting from 9/11 attacks. He has also published and shared with Alarabiya.net a list that included names, but discovered later that most of them were classified as missing and later were found alive or had not been actual people at all. 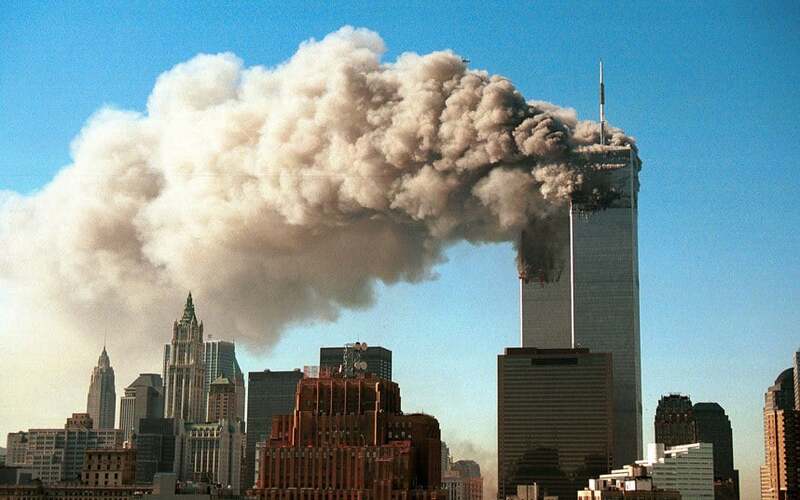 Subsequently, “The Independent” British newspaper published an investigation on October 11, 2001, on Muslim victims of 9/11, whose names were mainly taken from Sheikh Omar’s list. Following that, stories and allegations began to spread like a wave and became more and more distorted, and people were convinced the number of Muslim victims was around 100, and this number often increased 40 times at once. It took three years to determine the exact number of Muslim victims, through a list prepared by the Council on American-Islamic Relations. Alarabiya.net examined this list, as well as many others that showed the same number, and only one non-Arab victim. Some Palestinians insist that a Palestinian citizen was among the victims, and his name was Yousef Mahmoud Shareb; however, al-Arabiya.net did not find it on any official lists. The victims were 28 Muslims who died in the twin towers of the World Trade Center, in addition to three Muslims who were among the passengers on two hijacked planes; one of them crashed on a Pennsylvania field before it reached its target, and the second one hit the Pentagon. The Muslims victims in the 9/11 attacks were as follows: six from Pakistan, six from Bangladesh, four from Guiana, two from Sri Lanka, two from Gambia, two from Ivory Coast, and 1 from Yemen, one from Iran, one from Ethiopia, one from Turkey, one from Trinidad and Tobago, one from Burma, one from Albania, one from Greece and one from India, representing 1.07 percent of the total number of victims of the Sept. 11 attacks, which is the same percentage of Muslims in the United States. The most famous Muslim victim is the only Arab among all 9/11 victims, the Yemeni Abdul Salam Mallahi, who worked at the Marriott Hotel in World Trade Center. He was very brave and helped people escape the building. His body has never been found. The oldest victim was an Iranian woman who was 69 years old, and the youngest were two 25-year-old men, Zohoto Ibis, from Tukey, and a Pakistani, Khaled Shahid.